Carmen woke up still thinking about her complicated family. 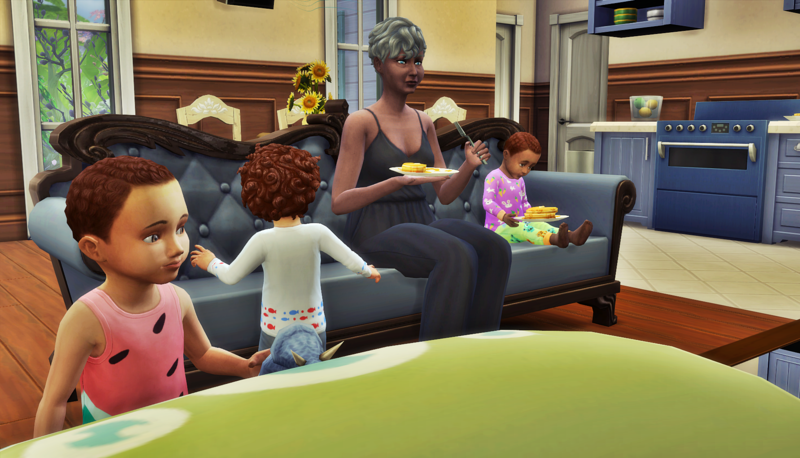 As she stirred the pancake mix, she thought about how a simple set up for a date followed by a few impulsive romantic decisions, and here she was, a single mother of three toddler boys. While certainly not how she saw her life going, she had to admit she was happy. She loved her sons, and she loved their father. She was nowhere near close to figuring out what to do with Hugo, but she didn’t feel a rush. Right now, she was simply enjoying being a mother. And she was enjoying having her parents there for an extended visit to help. As she cooked the pancakes, Carmen decided she would make the most of her parents’ visit. She decided she would go for a jog after breakfast. She’d always been a big girl, but she knew she’d be more comfortable, and have more energy if she exercised a bit more regularly. As she sat down with her plate, she enjoyed the quiet morning. Since she had help, she didn’t have to spend her morning rushing to get all three boys and up and dressed and off to daycare. She listened to the music always streaming through her wall speaker, and danced a bit in her chair. All that time as the only adult in the house had given her enough experience to make some really tasty food. Carmen went into her bedroom to grab her workout clothes, moving quietly so as not to wake her still sleeping parents. 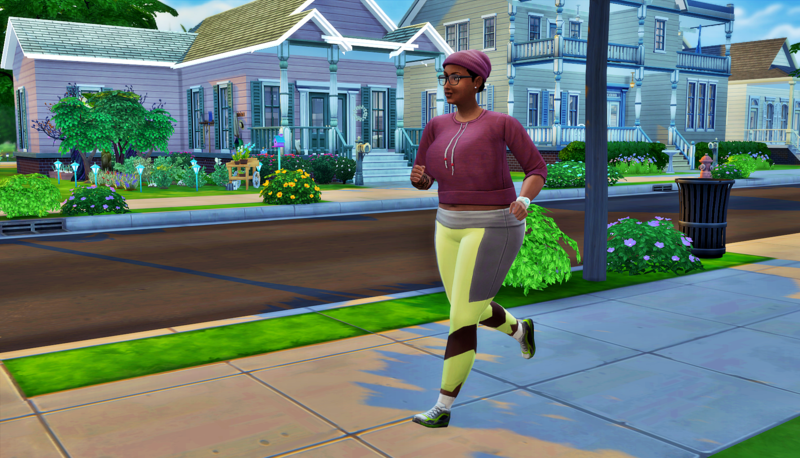 She headed out the front door and started jogging away from her house. It had been forever since she went jogging, maybe since right after Rodrigo was born. But the morning sun and crisp air was very refreshing. She passed neighbors and called out hello. It was really enjoyable, and Carmen promised herself she’d do this more often. 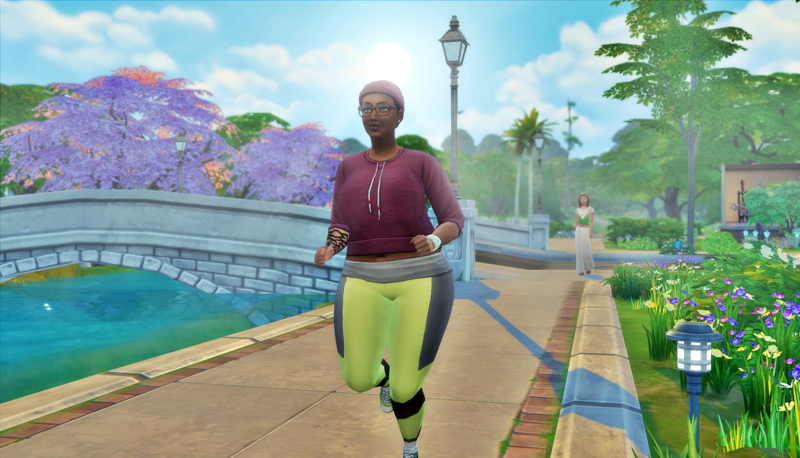 She finished her run, and headed into the house to take an inspiring shower before work. By the time Carmen left, the rest of the family was starting their day. Mauricio grabbed his own pancakes and headed back to his room. Jeffrey grabbed a book to read while watching for the rest of the boys to wake up. He would have preferred to make sure his grandson ate in his high chair, but he decided to try things Carmen’s way. “Free range parenting” is what they called it now. Besides, he knew that one of the other boys might have a more pressing need once they woke up. Jeffrey and Genevieve had a good system going. It worked for them since the birth of their first child so long ago. If the children were chilling, one parent would manage them while the other got some alone time to tend to their own needs or work on a hobby. That morning was Genevieve’s turn. She ate her pancakes while watching the boys. She was pleased Carmen had finally learned to cook, because Carmen never shown interest in that sort of thing when she was younger. 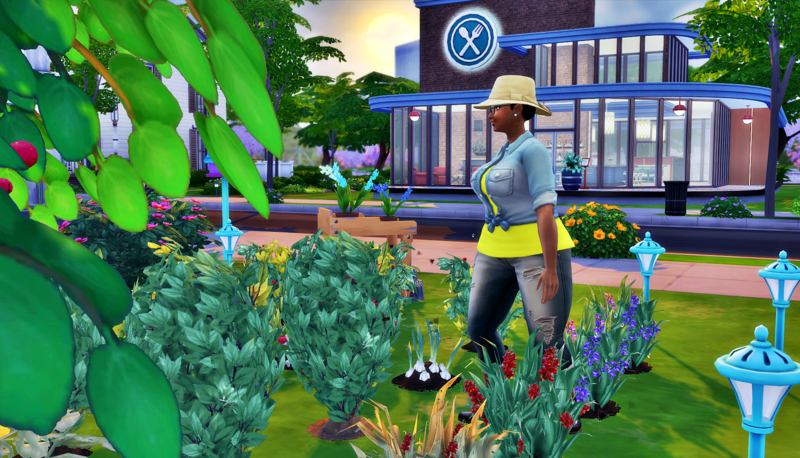 Carmen got home from work and went straight to her garden while her mother cooked dinner. Things had been getting out of hand lately, and Carmen considered researching grafting techniques. Consolidating her garden while making sure she still had a variety of produce was an appealing idea. She gave her parents the evening off and sent them to the restaurant across the street for coffee and dessert. 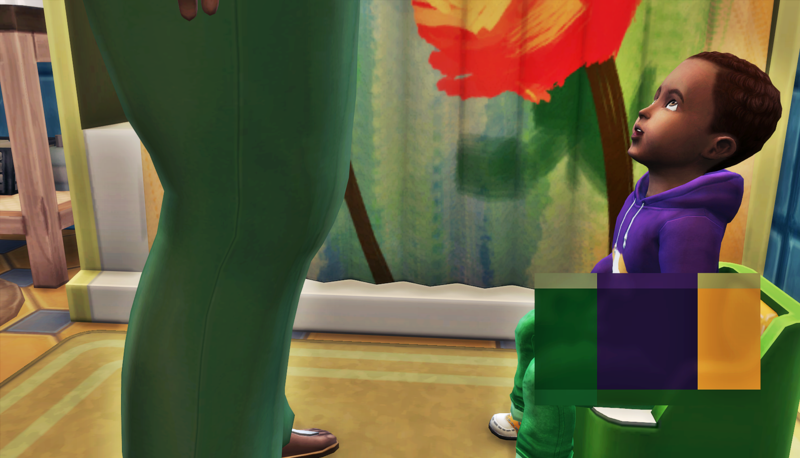 Rodrigo was almost completely potty trained, but he still like to have her help when going potty, so Carmen went with him. 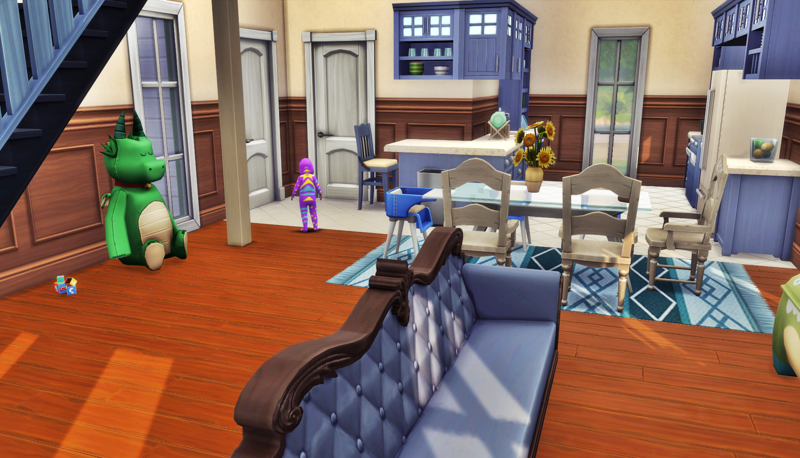 She prayed the twins weren’t destroying her house while she was in the bathroom with her oldest. She picked up Rodrigo to read him to sleep. She was pleasantly surprise to see the twins had gotten in bed by themselves. She figured her mother wore them out with activities all day long. She read Rodrigo his favorite dinosaur book until he fell asleep. Her old friend, if he could be called that, Dr. Davin Branham texted her to go out. 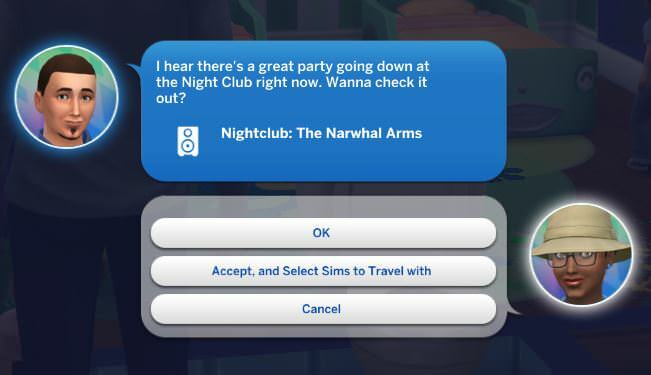 She chuckled when she saw the text, as if she could go out to a nightclub on a week night anymore. But of course he didn’t understand that. She first met him while out with her Upper Crust club members, at the same club he was trying to go to tonight. He had a wife and three kids, one of whom was a toddler, at home that night. She didn’t know that then, but she gave him a pass for thinking she could go out. 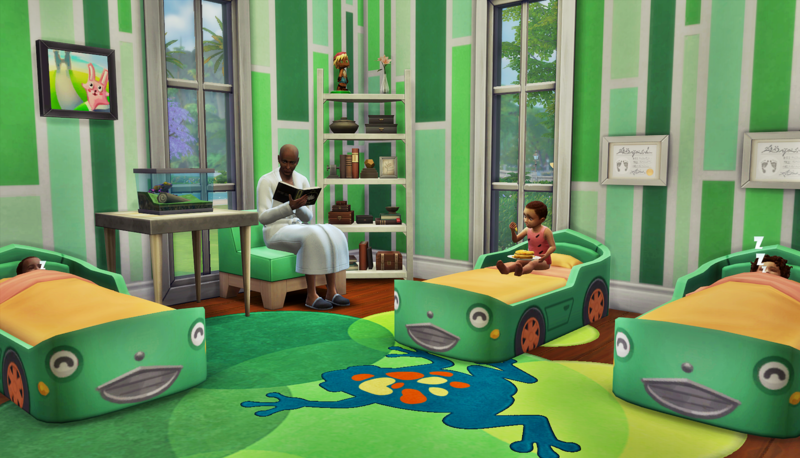 When she wasn’t denying invitations to go out, reading toddlers to sleep, jogging, cooking, painting, gardening, or working, Carmen managed to find time to finish the redesign of her house. 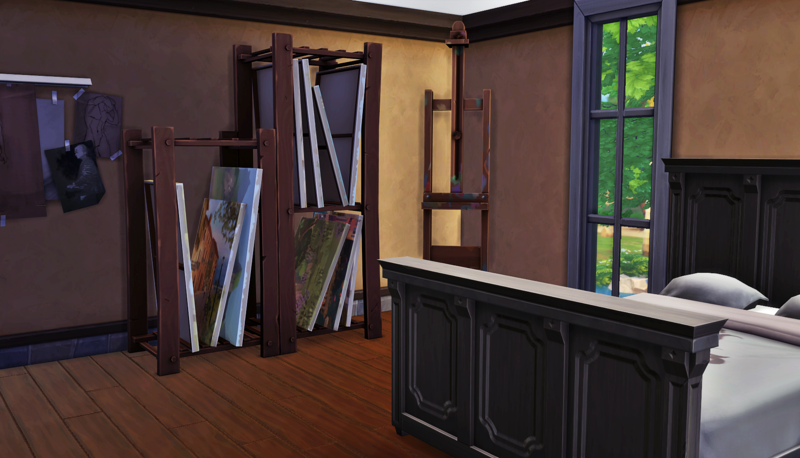 Her bedroom still doubled as her painting studio, but she moved it to the top floor. Also on the top floor was a second bedroom for her parents and a bathroom. She moved the boys’ bedroom to the other side of the house and expanded the common area into what was formerly their bedroom. They were able to salvage the new cabinets she’d just purchased, so she saved some money that way. Most important to Carmen’s peace of mind was her bedroom. 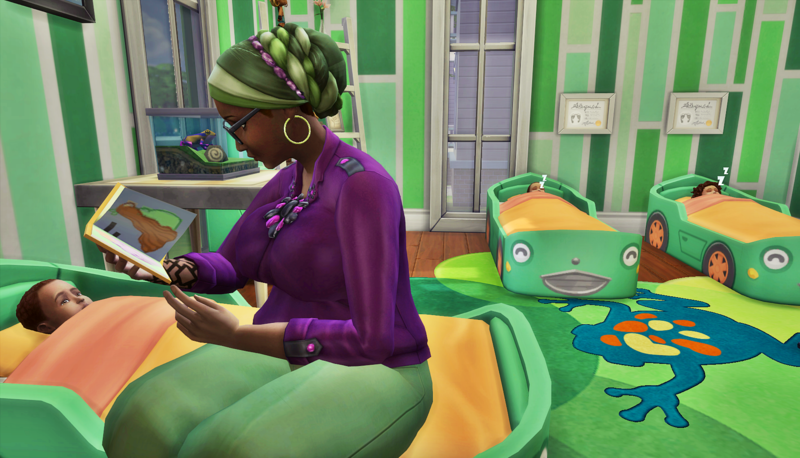 She was happy to be able to sleep in her own bed again, and having a room that was still flooded with the morning sun was really got her creative juices flowing. Being further than just across the hall from her boys wasn’t ideal, but she didn’t have a lot of land, so she had to go up instead of out. 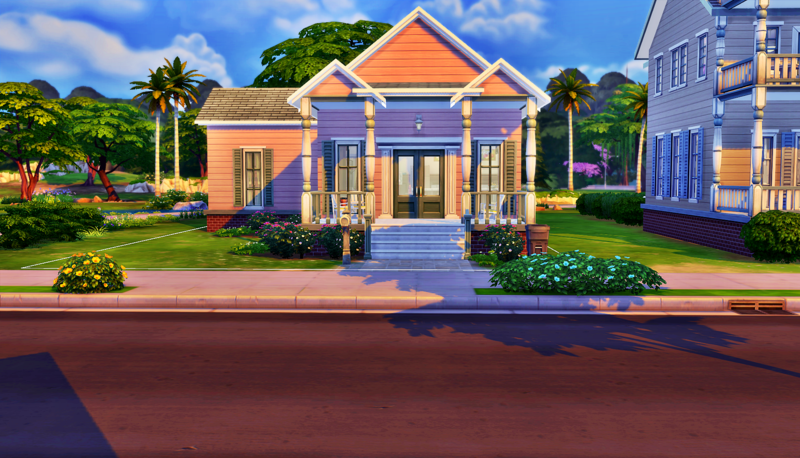 When Carmen first moved into her home, it was just this cute pink cottage that needed some love and personality. After the renovation (and the huge front garden), it was a whole new house. Hugo finally decided to show his face the day after the construction crew cleared out. Carmen almost missed his arrival because she was in the garden after work as usual. Through the glass-pane door, Hugo could see his son, but Rodrigo didn’t know he was there yet. 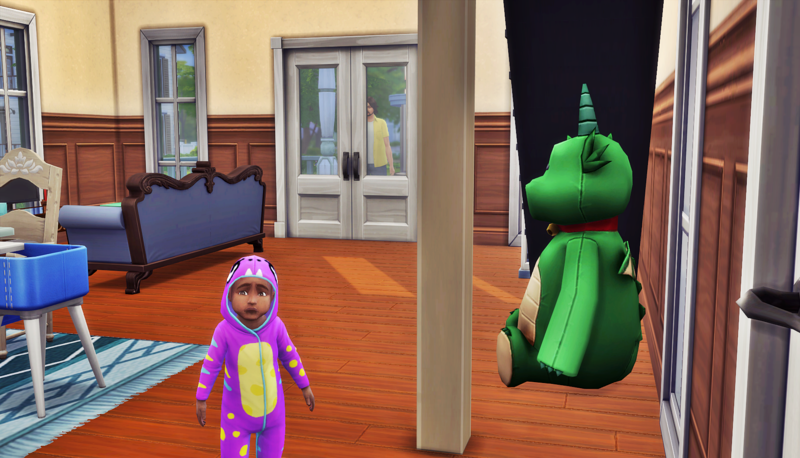 Hugo wondered why he was there by himself, but figured the grandparents weren’t far away. Both of Hugo’s parents had passed without meeting their grandchildren, so he was glad his sons with Carmen still had a set of grandparents. Hugo didn’t see Carmen in the garden, so he waited for someone to come to the door. While he waited, he got a chance to look around the common area. He could see the influence of her parents in the design. It’s not that he knew Jeffrey and Genevieve’s style, but he knew Carmen’s. Everything was a coordinated blue, which was nice, but it was missing Carmen’s touch of bright fiery colors. Finally, an older man came to the door. He introduced himself as Carmen’s father Jeffrey Butler. Hugo knew it was about to be an uncomfortable afternoon, but he’d stayed away long enough. It was time to face the music. 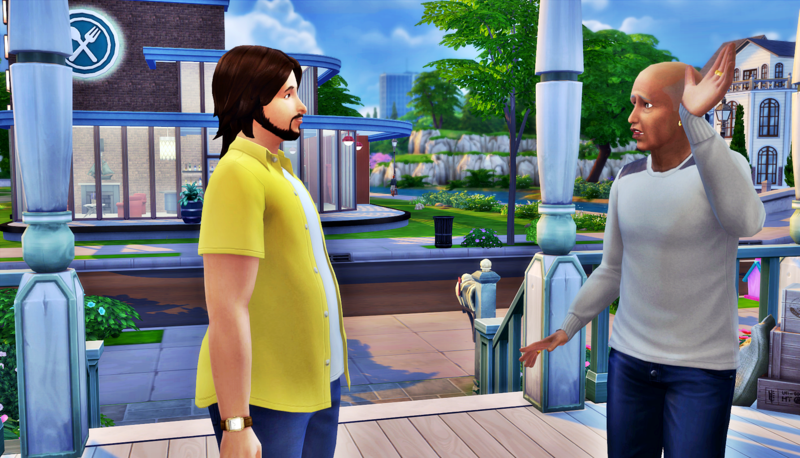 Loved the home renovations and seeing how calm and happy our girl Carmen is ❤ But hopefully that calm and happiness will continue after these two meet… Eek! Carmen really craves her father’s approval. I can’t imagine he’d give it outright, but he understands complicated. He’s a wise man. 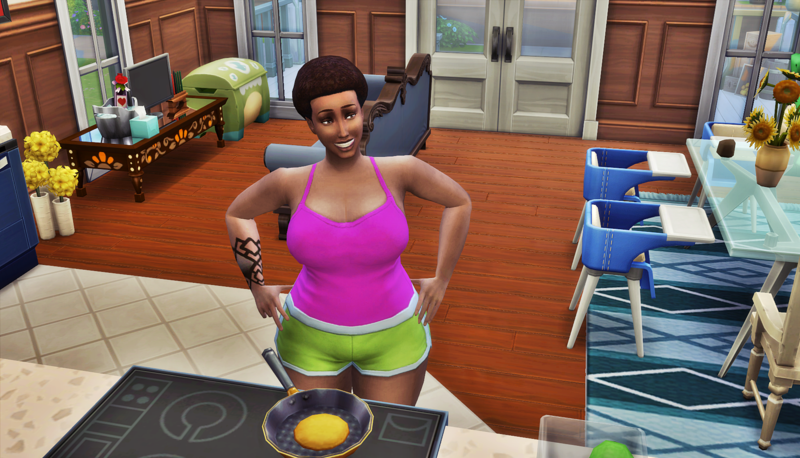 Carmen has changed so much…I remember the days that she could not even cook an egg..The new house looks very nice, and, oh, I see trouble in paradise! 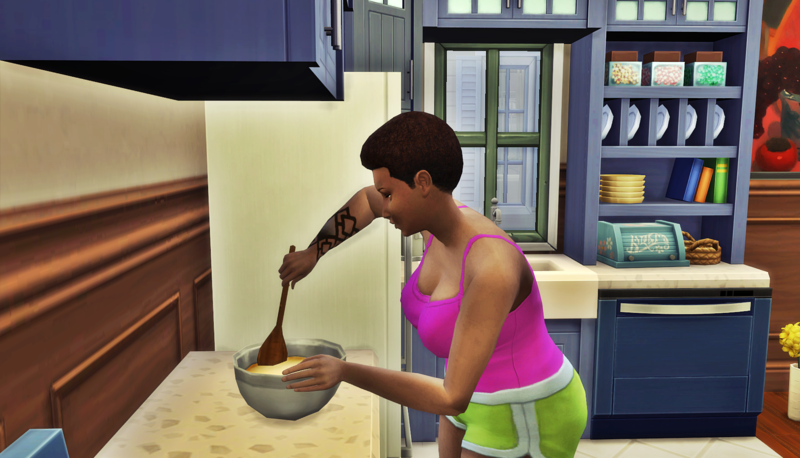 Oh yeah, she finally learned to cook! Thank goodness because she’s got lots of mouths to feed. She’s grown up a lot from the party girl who couldn’t boil water. Lol, if I had a let’s play, I’d edit that in. Mauricio , around the eyes , reminds me of his dad! 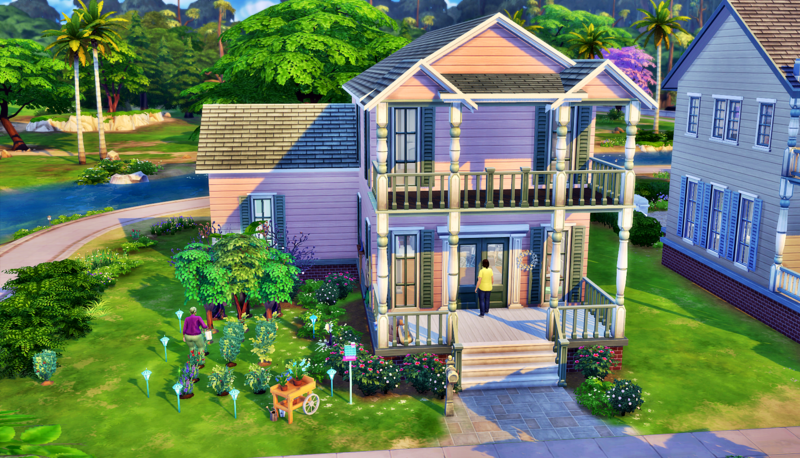 I love the second story addition ! I went into CAS and aged them up to see. Rodrigo looks the most like him I think, but then yes Mauricio does too. I think Marco is all Butler, lol. Good for Hugo….I am glad Carmen seems happy. But I fear she might get lonely when her parents leave. Shh, she doesn’t even want to think about when they leave lol. But yes, Hugo has made the mature decision to stop finding reasons to delay meeting Carmen’s parents.